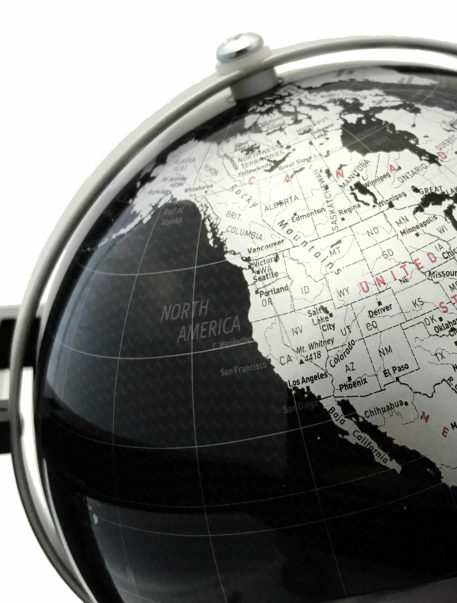 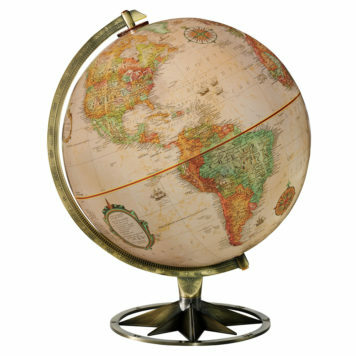 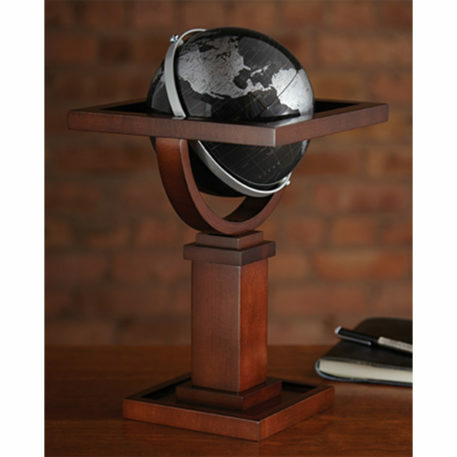 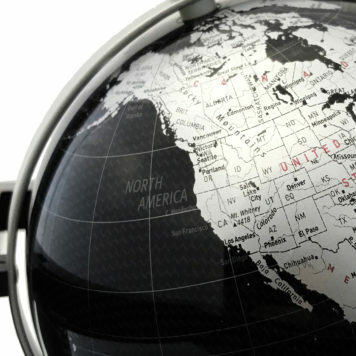 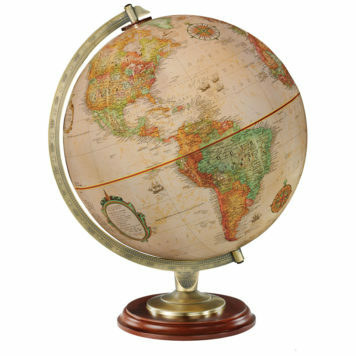 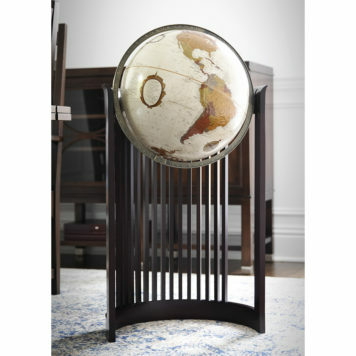 A smaller version of our 16″ Wright Floor Globe is the perfect table or desktop globe for any home or office. 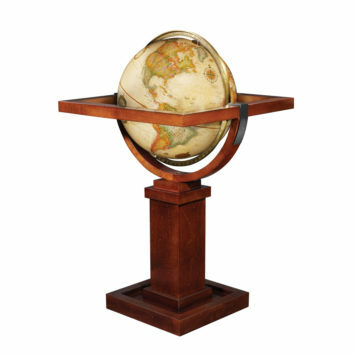 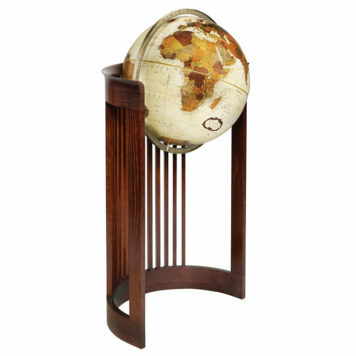 The globe stand is an authentic reproduction from a drawing found in the Frank Lloyd Wright Foundation archives. 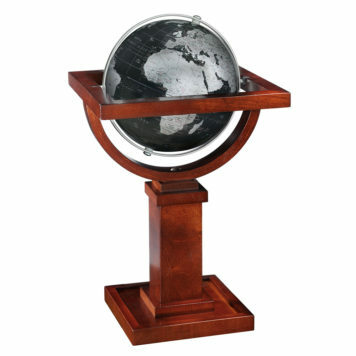 It is an unidentified concept for one of the Prairie Homes that Wright designed in the early 1900’s. This globe and stand are proportionately scaled from the large Wright Floor Globe.